The Atchison, Topeka and Santa Fe Railway Company depot in Geneva, Kansas was built in 1885. This photograph was taken in the early 1900's. 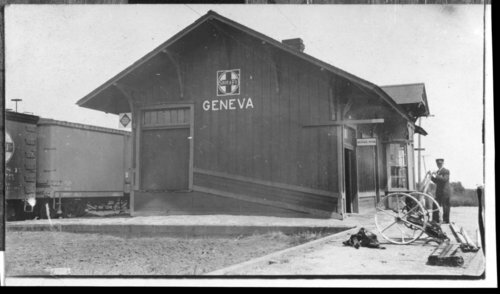 By 1954, the depot was no longer standing. Also visible in the photograph is a man standing beside farm equipment.